Michael Clarke Duncan passed away this morning at age 54. He had a heart attack earlier this summer and never fully recovered. He was engaged to former Apprentice contestant and reality TV veteran Omarosa who was at the hospital at the time of his death. 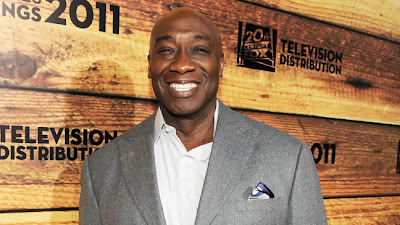 He was most famously known for the role he played in The Green Mile, which earned him a Best Supporting Actor Oscar nomination. That movie was creepy as f-ck...I would rather remember his as Bear from Armageddon, he was dope in that.